The Information Commissioner said the Police and Jail authorities can voluntarily provide all the records to the NAI. NEW DELHI: What efforts were made by Delhi Police to arrest three absconding accused in Mahatma Gandhi assassination case? Panda told the Commission he was a researcher and interested in studying the records pertaining to the assassination of Mahatma Gandhi who was shot dead on January 30, 1948 by Nathuram Godse, a right wing activist. "They were unable to say anything whether any important document like final charge sheet was missing or what happened to records showing efforts of the police to arrest three accused or state reasons how and when two others were acquitted," Acharyulu noted. The Information Commissioner Sridhar Acharyulu went into detailed research before finalising his order which included his visit to National Archives of India and perusal of 25 CDs in which records related to the assassination are stored. He perused the available records and whatever documents could be accessed in the research done by the legal consultants and interns in the office of the Commission. In its 33-page exhaustive order, the CIC directed the Delhi Police to transfer its original records which show its efforts to trace the absconders in the case. "The CPIO of Ministry of Home Affairs, more particularly the Delhi Police, or Tughlak Road Police Station is directed to provide original records of investigation of Mahatma Gandhi Murder Trial such as investigation reports, case diaries or any other communication or correspondence they have, final charge sheet, if any, or any record showing efforts to arrest the accused Gangadhar Dahawate, Surya Dev Sharma and Gangadhar Yadav to the NAI for preservation under Archives, inspection of which the NAI may offer to the appellant," he said. 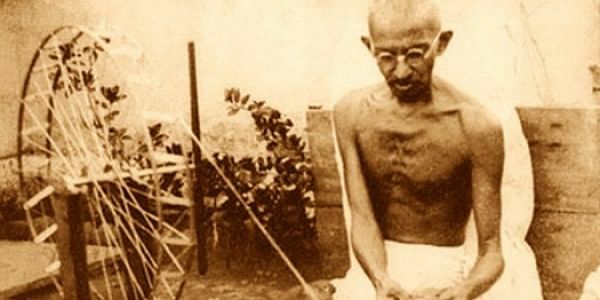 The order which dwelt into whole gamut of issues related to conservation of records related to Mahatma's assassination, pointed out that "there is no official compilation record at one place about his death". "Mahatma Gandhi who advocated Hindu-Muslim peace until his last breath, was victim of violent reaction against his policies. The people have right to information to clear the above doubts," Acharyulu said. The Information Commissioner said the Police and Jail authorities can voluntarily provide all those records to the NAI. "The police has a duty to explain what efforts were taken to arrest three absconding accused or why they could not be traced. The Ministry of Home Affairs has an onerous responsibility to take up this task and place all of those records with the NAI for general access of the public," he observed. The Commissioner directed the National Archives to transfer the RTI application to the Station House Officer, Tughlak Road Police Station, for case diaries or any other record showing investigation etc., including efforts to trace three absconding accused (if any of accused were absconding) in Gandhi Murder case.